Zvi Peleg has dedicated his entire career (over 40 years) to helping improve the lives and opportunities of young people through his work with the Israel Sci-Tech Schools Network, of which he is himself a graduate. Since 2002, Peleg has served as the Director-General of Israel’s largest educational network of charter institutions, including 210 junior and senior high schools, industrial schools, educational centers, and technical, engineering and academic colleges throughout Israel. Prior to this role, Peleg served as Deputy Director-General, Head of Human Resources and was the leader of its adult education division beforehand. 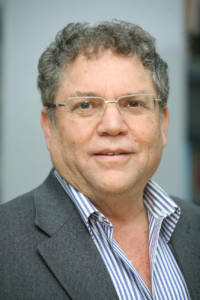 Mr. Peleg attended Bar-Ilan University, where he received a bachelor’s degree in community social work and a Master’s degree in educational administration. In addition to his role at Israel Sci-Tech Network, Mr. Peleg is Chairman of the Audit Committee and member of the Research Foundation Board of Tel Aviv Medical Center.